Choosing a new smartphone can certainly be a challenge and while reviews will obviously provide a lot of detail, sometimes you just don’t get the information you wanted. Maybe it’s a specific question that applies to you only or maybe you want some comparisons; either way, sometimes a review and comparison just doesn’t give you the detail you need. A couple of weeks ago, we offered you the chance to have your questions on the Galaxy S6, Huawei P8 and LG G4 answered in the first of our Ask Us Anything series. Having read through the comments on that post, we’ve picked the top 6 voted questions to answer below. With octa-core LPDDR4 chipsets coming out, is it worth getting the LG G4? 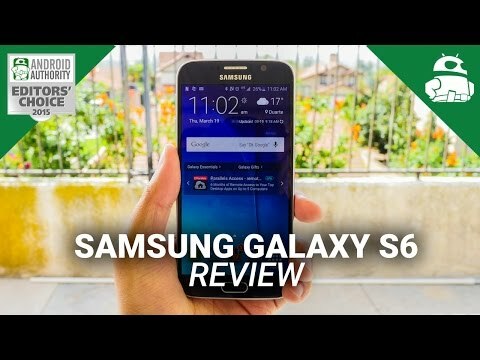 Is the Samsung S6 the better buy for performance? How long will the Snapdragon 808 last against the competition? 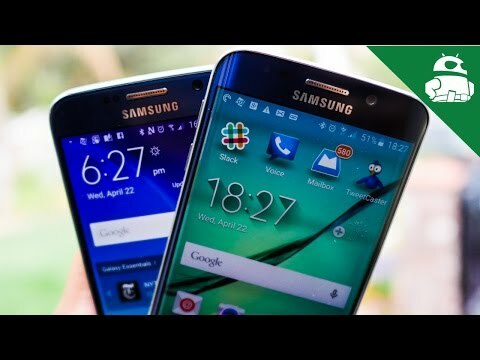 The video shows that the Galaxy S6 is by far, the best for performance in the benchmark tests and in actual usage, this is also the case. The optimised software on the Galaxy S6 provides the fastest experience from a Samsung smartphone to-date and Samsung’s choice of using its own Exynos 7420 processor means they’ve been able to optimise the entire experience. The LG G4 is powered by a Qualcomm Snapdragon 808 CPU and the question about how long it will last against the competition is certainly difficult to answer. Sure, it’s a “lower number” than the latest Snapdragon 810 processor but LG have worked closely with Qualcomm to optimise the 808 CPU just for the G4 and the result is a super slick experience. It’s certainly not as fluid as the Galaxy S6 but this will improve with future software updates and certainly, the performance is good enough that it should alleviate any of your concerns. Which camera performs better when it comes to AUTO mode (Simple AUTO mode, just open camera and shoot, no manual tweaking of settings) ? 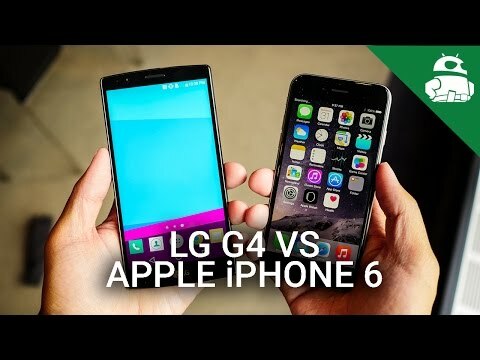 G4 or S6? This is arguably the biggest thing everyone wants to know; which is the better camera? When comparing cameras, I always use Auto mode and the average joe will also use the automatic settings (as opposed to tweaking the settings manually). For me personally, the LG G4 takes slightly better images than the Galaxy S6 in daylight conditions as the color spectrum sensor definitely produces a more accurate-looking image. However, in low light conditions and in video recording, the Galaxy S6 appears to be that little bit better and given that the daylight images of the S6 are slightly oversaturated but look better to the eye, I would say the Galaxy S6 has the better camera. We couldn’t add the chart to the video so we’ve decided to publish it here instead. The table below reveals average battery stats, LTE antenna strength, camera stats etc and hopefully provides enough information for you to make your decision! Quick question about audio quality out of the 3.5mm jack. I’m a major music freak like most people and have my IEM’s in all day everyday at work, on the motorcycle and definitely whilst running. Due for an upgrade and aiming at the lg g4 and samsung galaxy s6. We would have loved to answer this question Donovan but sadly, my LG G4 sample didn’t come with LG’s headphones included. However, using a pair of Beats headphones, the G4 audio is really, very good but the Galaxy S6 sounds clearer (to my untrained ears at least) with less hiss at the high end. It’s worth noting that the G4 does sound a little tinny at high volumes and lacks the clarity of the Galaxy S6 but the differences are certainly negligible. We’re going to try and get an answer to this question for you as soon as possible so stay tuned for an update as soon as we can answer this. If you could choose between only one of the three, what handset would you choose. A question that was asked many times, both by Razor and several others and it’s a question I get asked a lot when people talk to me about which phone to buy. Choosing between these three devices is certainly not easy but my personal opinion is that the Galaxy S6 ticks more boxes than the Huawei P8 or the LG G4. 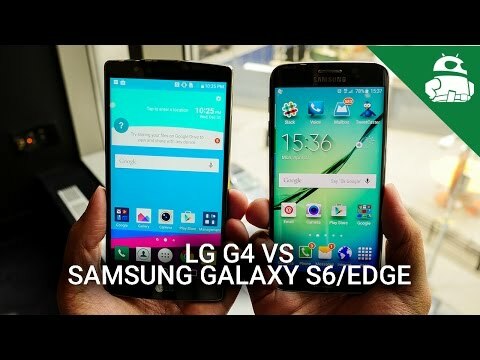 Samsung Galaxy S6 vs S6 edge! 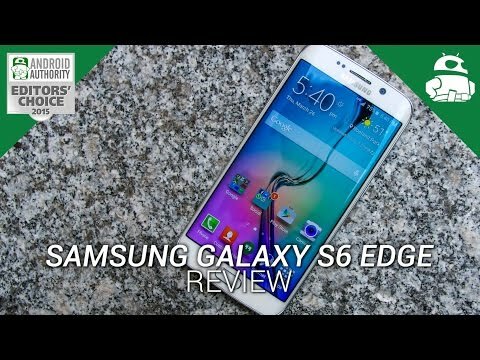 The S6 and the S6 Edge both offer the latest specs, an outstanding display, innovative design, optimised software and excellent camera and while the G4 and P8 tick some of these boxes, they don’t tick all of them. The LG G4 has almost everything – save for the optimised software and the build quality – while the P8 again ticks plenty of boxes but doesn’t have the performance, software optimisation or display of the S6. Which device has the best display and camera? Which one gives the premium look? In the video, we answered this in three parts and we’ll do the same here, first looking at the display, then the camera and finally the premium look and feel. The display on the Huawei P8 is the least pleasing of the three devices but this is due to the 1080p resolution, compared with Quad HD on both, the Galaxy S6 and the LG G4. For me personally, the LG G4 is very impressive and the 98% compliance with the DCI standard means that watching films on the screen offers the closest cinema-like experience on any smartphone to date. By way of comparison, the over-saturation on the Galaxy S6 display results in it exceeding the DCI standard but the display is arguably nicer to look at. The display is vibrant, colors are rich and blacks are deep and while the G4 does very well here, I personally prefer the Galaxy S6. This is just my opinion however, so you may find the LG G4 is the better display for you. The question that most people seem to be asking is: which is the better camera, the Galaxy S6 or the LG G4? Personally, I find the oversaturated images on the Galaxy S6 to be more pleasing to the eye but the LG G4 images are certainly more lifelike. Which is the better camera? It’s too close to call so we’ll call it a draw; which do you think is the better? Have a look at the images below (in this order: Galaxy S6, LG G4, Huawei P8) and let us know in the comments below! If there’s one thing I don’t like about the LG G4, it has to be the build. The design of the handset is certainly premium enough but the use of plastic – even though there is a leather back cover available – means the handset just doesn’t look or feel as nice as the Galaxy S6 or the P8. The Galaxy S6 has that stunning metal and glass build but the Huawei P8 packs a very impressive specs list into a body that’s just 6.4mm thick. 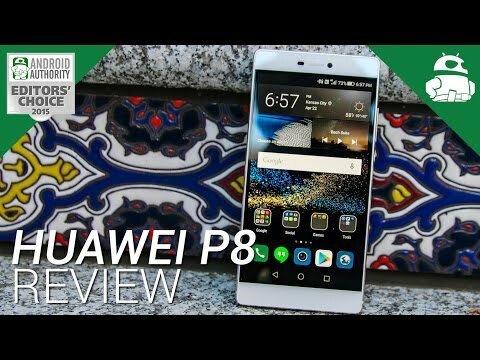 I personally think the Galaxy S6 has a great design but the all aluminium-build of the Huawei P8 is incredible as well. Far too close to call this so we’ll leave it as a draw; let us know which you think is the more premium looking smartphone in the comments below! Picking a new smartphone is certainly a challenge with a myriad of platforms, specs, designs and features to consider and hopefully, this series has helped you with your decision. Each handset has their Pros and Cons and it’s worth looking at the links below to read each review in more detail. We couldn’t answer all the questions you had but hopefully, we’ve picked the ones that give you the detail you were looking for. Got other questions that you want answered? Leave them in the comments below and maybe the community can help answer the questions we’ve missed!